It has been a long time since posting anything, new year, I will try to keep up this time. 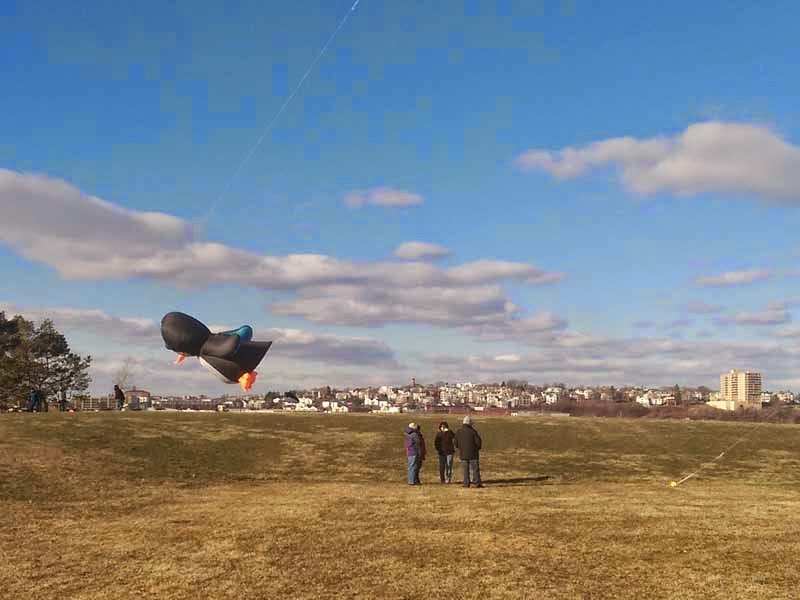 We started the year with bare fields and cold wind at our annual New Year's Day fly at Bug Light Park. While we do have many feet of snow now most places, Bug Light Park is mostly bare ground, the wind keeps it clear. Still bitter cold though. We have had one kite making workshop so far this winter. 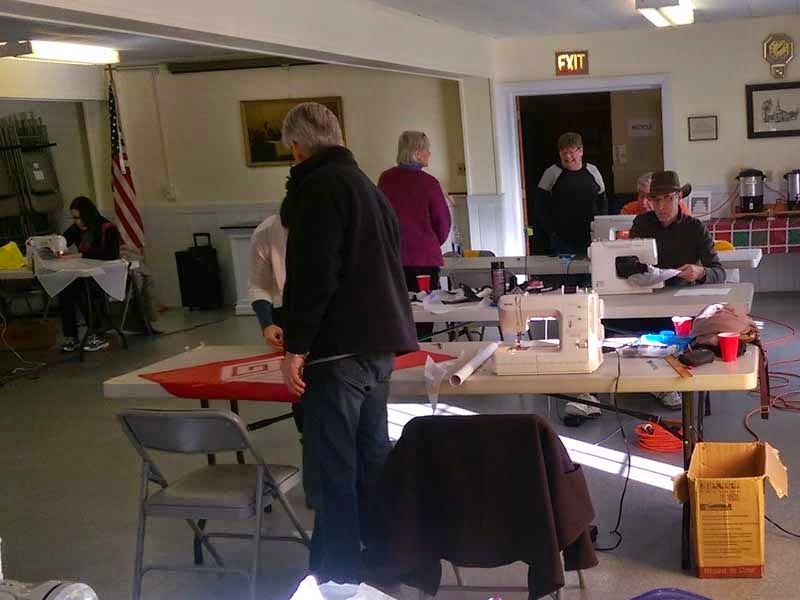 I led a Della Porta workshop in January in Ogunquit ME where we had about ten or so kite makers ranging in experience from first kite ever to master kite maker. I was extremely pleased at the results, all of the kite makers created great kites. 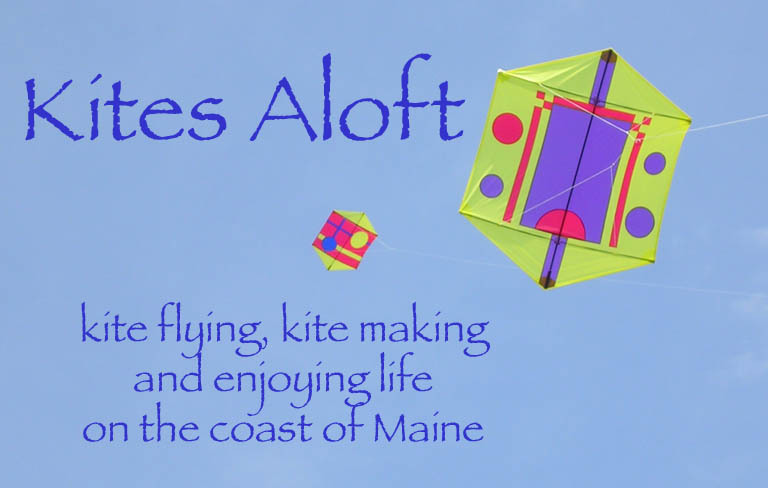 Plans are in place for our 7th annual Bug Light Kite Festival on May 16. 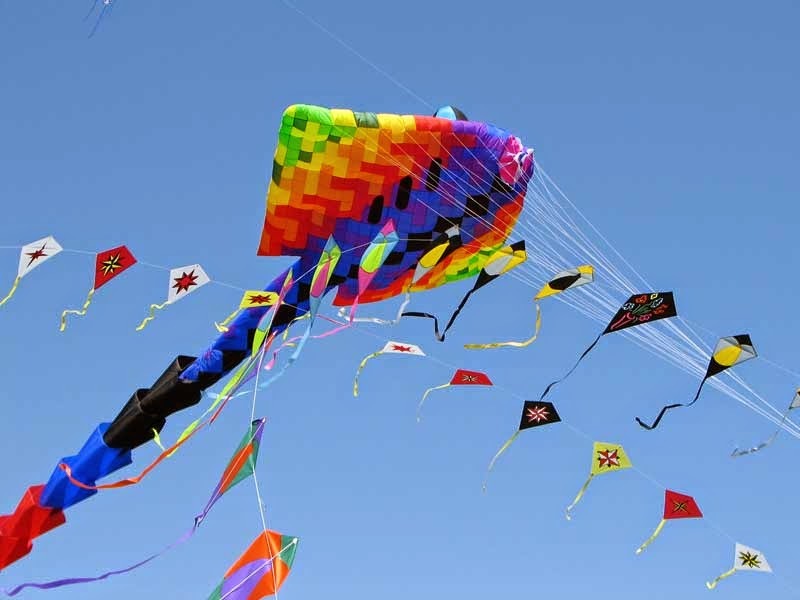 This has been a popular festival for the local residents, maxing out parking in the area and filling the sky with kites large and small.